Description: Canada Air Virtual is a Canadian based virtual airline, founded on the principle we offer a professional and friendly community environment without a lot of rules and restrictions, giving our pilots the freedom to enjoy flying any aircraft, livery and route or charter flight at any time. We fully support Microsoft Flight Simulator X / 2004 /Steam Edition, Prepar3D and X-Plane. Canada Air Virtual welcomes members of all skill levels. Description: At DLH Virtual, we make our presence felt across a wide range of operations, from scheduled passenger flights to charters, cargo operations and even unique tours, challenges and group flights tailed to best suit our aviating enjoyment. 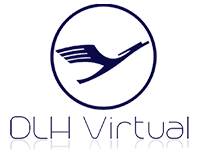 Description: Greece Airways is a virtual airline which developed inside IVAO and VATSIM networks. Our goals are to enhance the simulation of our hoddy and serve the community. Moreover we are trying to create a friendly environment between our members. Description: We are a small Community of the Twitch streamer "Blackbox 711". We’re operating Worldwide. Everybody is free to join! There are no special rules for this airline, except having fun, and being respectful and friendly to each other. If you have any questions or suggestions, feel free to contact someone of the Airline. Fly anytime, anywhere. We just provide you with some Ideas like Cargo Operations center and some basic Schedules. Description: We are the First and Original UPS Virtual Airline. We have been around for Over 15 years and consider ourselves to be a "Legacy" Virtual Airline. We are established and well known to VATSIM. We take pride in our VA and would like to encourage all of our members to have fun and to enjoy our hobby. Description: WeFly Virtual Airlines have been flying in the sky since October 6, 2015. If you are looking for an enjoyable place to make passenger flights as well as not being on a ranking system telling you what you can fly this is for you. Description: Our goal is to simulate real airline flight operations as close as possible and strive to offer a fun and relaxed environment for our members to enjoy the excitement of flight. Our schedules are constantly being updated based on the real world airline, and our WJAcars program allows for non-scheduled departures so you always have a fun place to fly. Join us today and come see what you're missing. 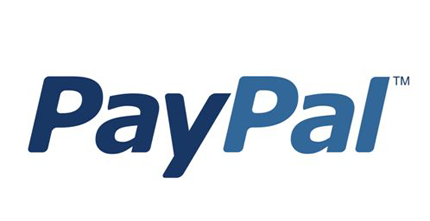 Become part of our Virtual Airline Partnership Program and have your virtual airline website listed in this page including several other priviges. More information can be found here.